COLLEGE TUITION: WHAT IF YOU RUN OUT OF TIME TO SAVE? We thought we were ready. We started to save early. When our kids were young we had a plan to save enough money to provide them with four years of college education. But somewhere along the line, the challenges of life got in the way — and now we find ourselves running out of time to save. So what should we do now? With the cost of college averaging $20,000 a year at state schools and over $40,000 a year at private schools, many parents are trying to figure out how they can fulfill their dream of sending their kids to college. Many find out that they make too much money to qualify for financial aid so they seek other options to help pay for college. For example, do they tap into their retirement savings? Borrow against their home? Take out loans, either as parents or subsidized student loans? Starting on January 1st, parents can fill out the Free Application for Federal Student Aid, better known as FAFSA. This form is required by the government and colleges to assess how much money families should be able to contribute to a college education. Parents should submit the FAFSA as soon as possible after January 1st to hold their place in line, using estimated income tax numbers from the prior year, and then update the form with current tax information later when it is available. Federal grant programs and schools run out of money — it’s all based on a first-come, first served basis so you don’t want to be the last one in line, even if you think you make too much money. Most schools provide merit aid based on students’ high school GPAs and ACT or SAT scores. They also require a completed FAFSA application, so you will still be required to fill it out. FAFSA looks at what’s referred to as the Expected Family Contribution (or EFC) to determine what a family should be able to contribute toward college each year in determining financial aid. Many parents try to lower their EFC to demonstrate the need for a larger amount of financial aid from the government or colleges. Not all assets are treated equally when it comes to the EFC. For example, money in the parents’ name is much better from an EFC standpoint than money in the kid’s name. Parents should also try to maximize contributions to their retirement plans, including making catch-up contributions, since retirement accounts don’t figure into the FAFSA calculation. If you set up a Section 529 college savings account for your child’s education, make additional contributions or convert a Uniform Gifts to Minors Act (UTMA)/Uniform Transfers to Minors Act (UGMA) account into the 529 prior to completing the FAFSA application. A UTMA/UGMA account or any savings in the child’s name counts more against the family than a 529 or Coverdell ESA. And if possible, pay off outstanding credit card debt and auto loans, prepay taxes and/or mortgage payments, and defer income into next year to reduce your amount of available cash now. Look into available scholarships for your chosen schools through their websites. Scholarships from local alumni groups, work-study programs, and direct student loans are also options. However, it’s usually not advisable to raid your retirement accounts to pay for college. You could end up being a bigger drain on your kids in the future if you have no income later in life. There are many different ways to pay for college if traditional savings don’t quite meet the need. Some options are better than others, though, which is why seeking the help of a qualified financial planner to discuss options prior to making a decision is so important. 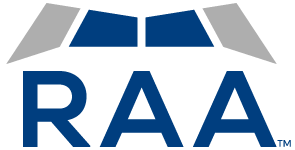 Request a financial consultation with RAA to learn more about your options. LONG-TERM CARE INSURANCE - IS IT WORTH IT?